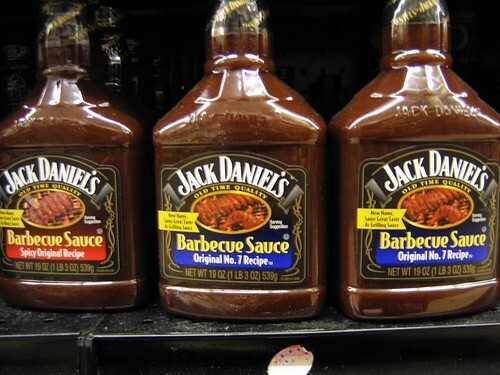 Wisconsin man blames steak sauce, eaten the night before, after failing breathalyzer test. Ian A. Baker of Sheboygan Wisconsin was arrested in July on his fourth DUI charge. He was released pending trial but as a condition of his $1500 bail, he was forbidden from drinking alcohol. On Tuesday, Baker failed a court ordered driver-intervention program breathalyzer, scoring a 0.07, and is now charged with misdemeanor bail jumping and faces a possible 9 month prison sentence to go with it. In his defense, Baker argued that he hadn’t been drinking and explained that the high alcohol in his blood came from some Jack Daniels Steak Sauce he’d eaten the night before.